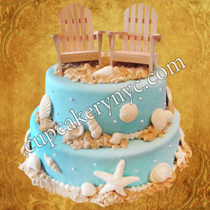 “Got my toes in the sand and my God is the sun”… What could be better than a wedding on the beach somewhere tropical? 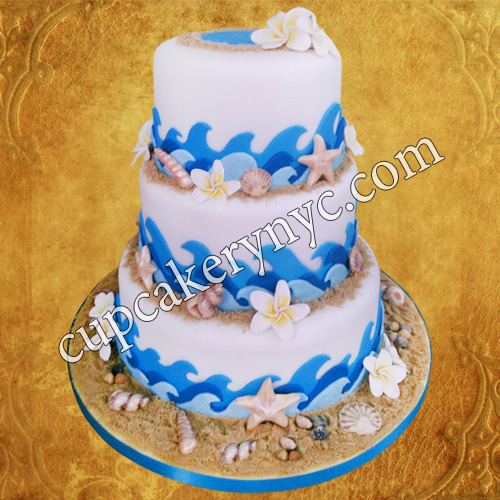 If you’re planning a beach wedding, you’re most likely looking to order a beautiful beach themed wedding cake. CupCakery is the sweetest place in New York where you can get a custom cake that looks seautifully and tastes breezefully. 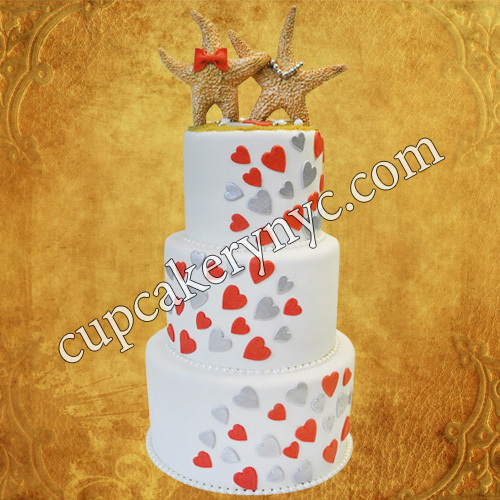 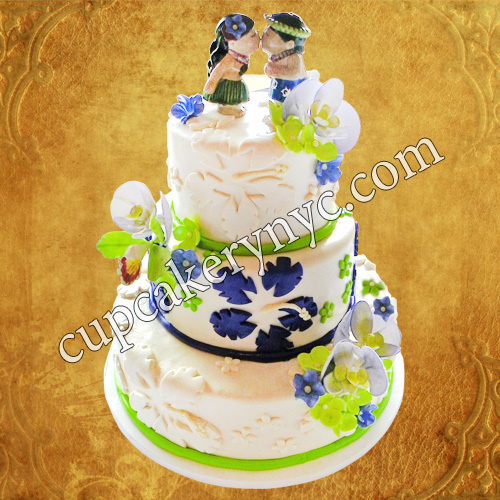 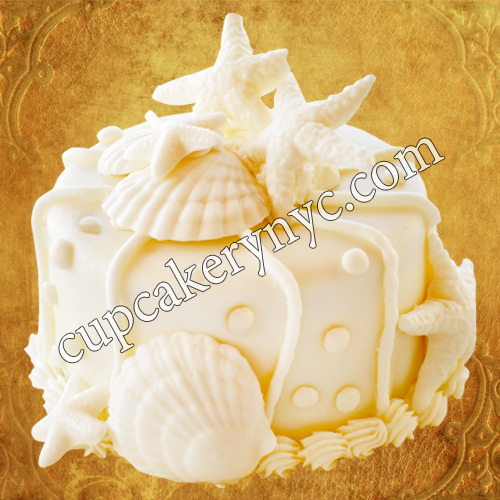 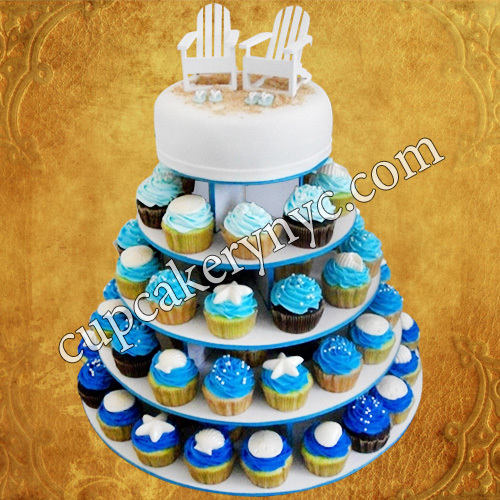 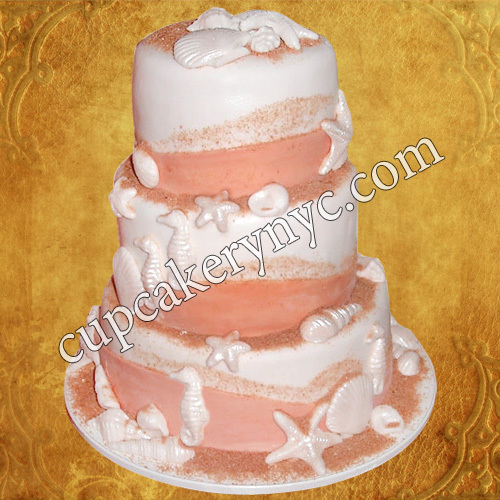 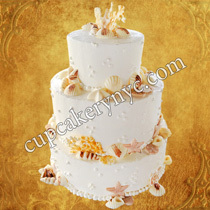 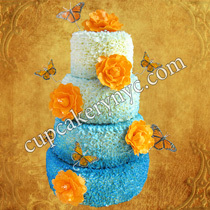 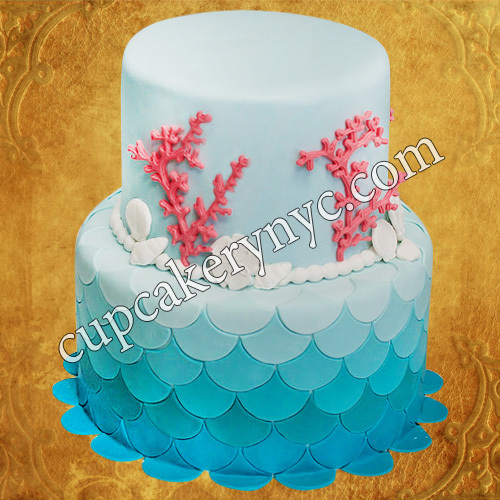 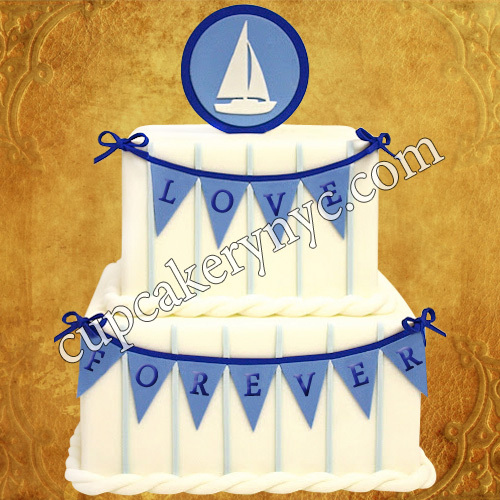 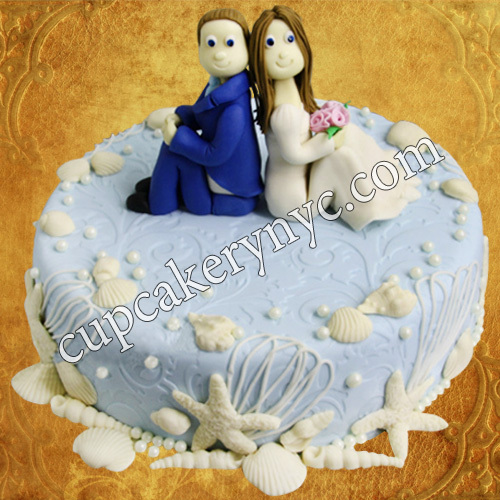 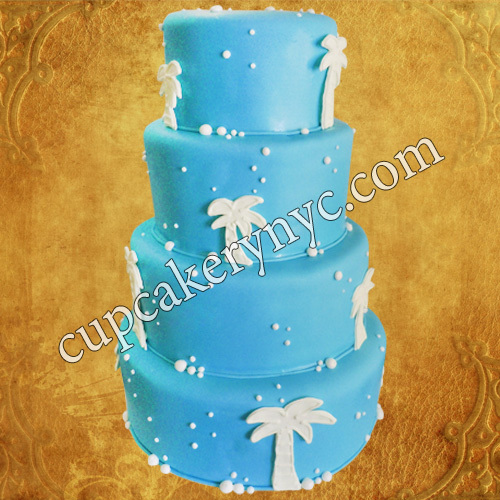 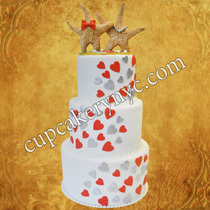 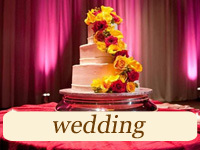 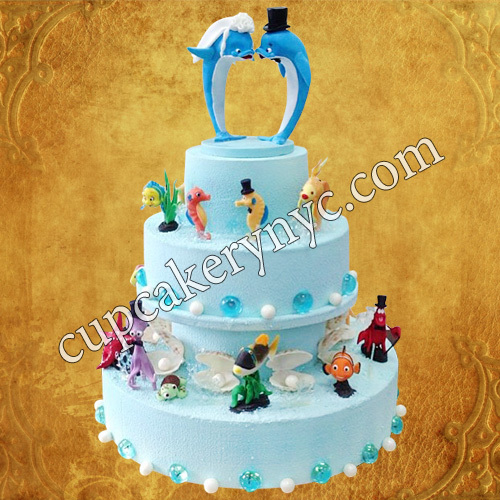 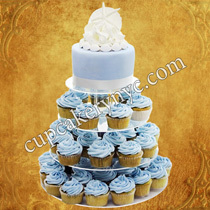 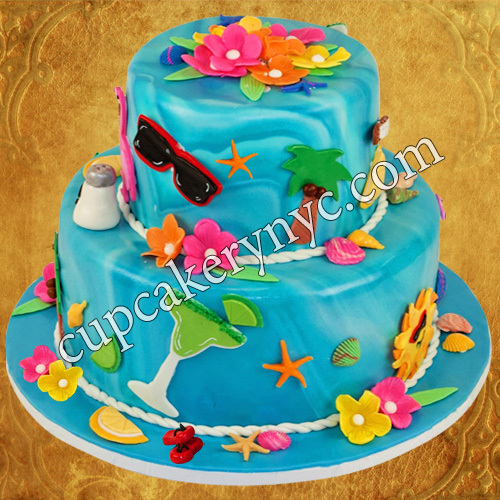 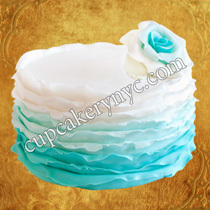 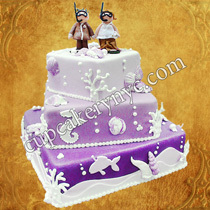 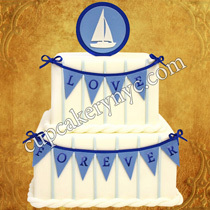 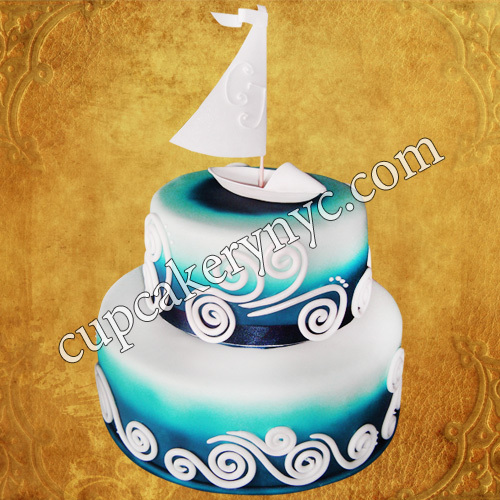 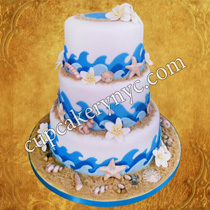 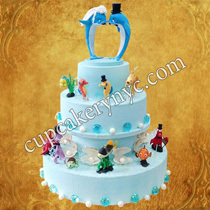 Beach themed cakes are usually bright, carefree, sun-and-surf inspired… Sophisticated and chic designs are also popular. 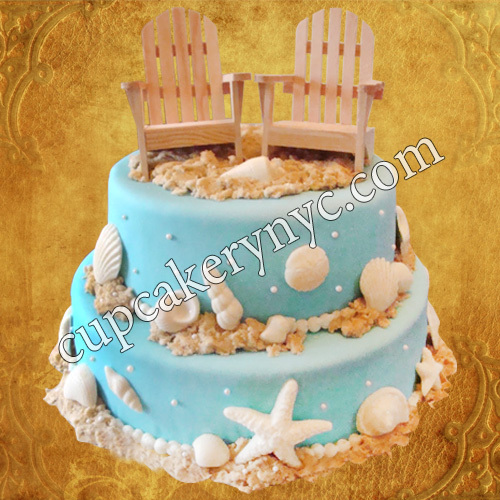 At CupCakery we craft the best beachy cakes, with elements like aqua-blue icing, Adirondack chairs, edible shells and sand dollars... Our mission is to make a cake that will invoke the spirit of a seaside adventure and add the perfect accent to your beach ceremony. 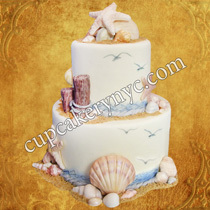 Beach wedding cakes with edible seashells are among the hottest cake trends. 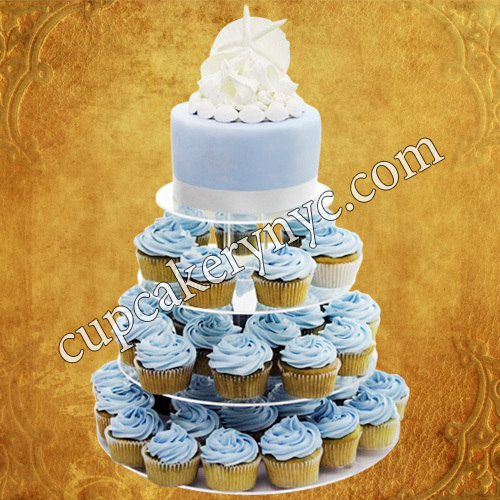 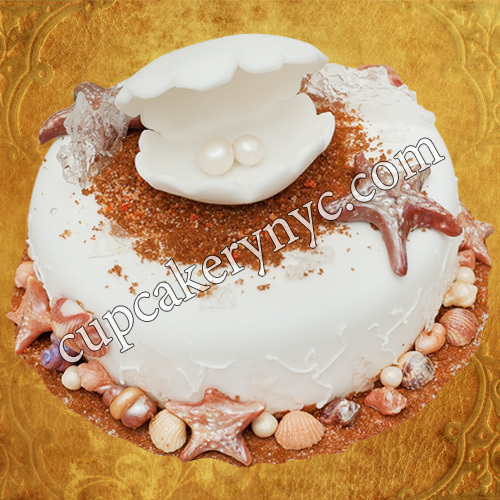 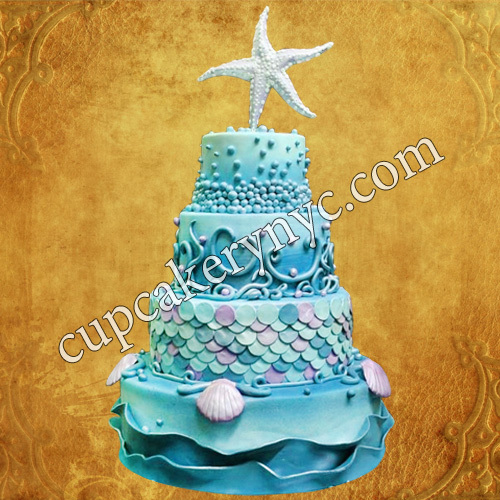 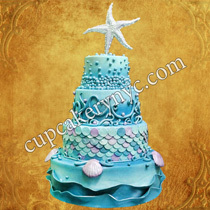 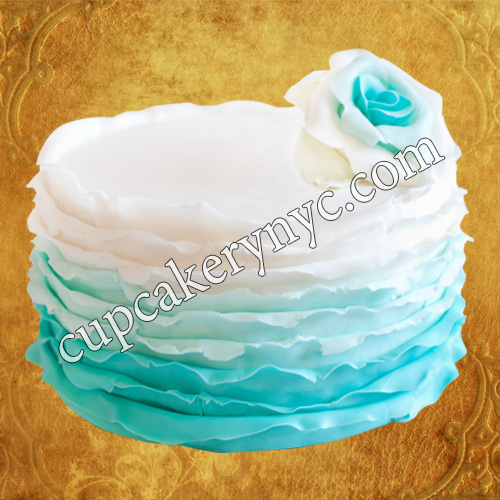 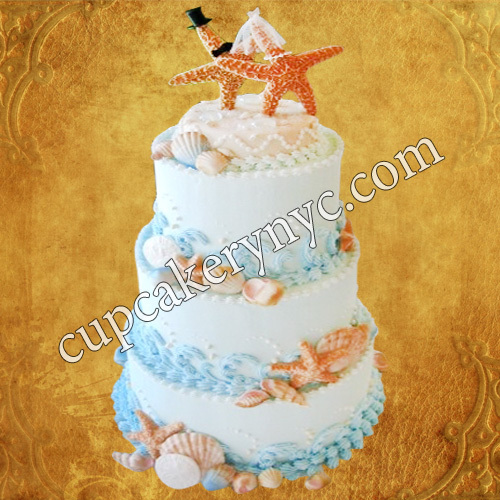 Covered with light Tiffany blue shades of fondant and finished off with beautiful white chocolate shells and starfish, these masterpieces could be your best choice for a seaside wedding reception or birthday celebration. 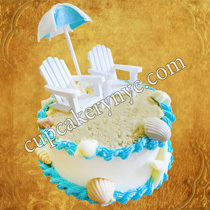 That’s what we call the sweetest seaside inspiration! 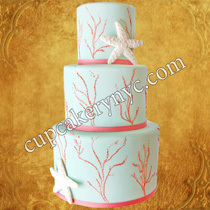 Life’s a beach when your wedding is an under the sea fantasy! 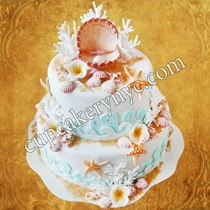 Sea life cupcakes in addition to a gorgeous beach themed cake will complete the style of your event. 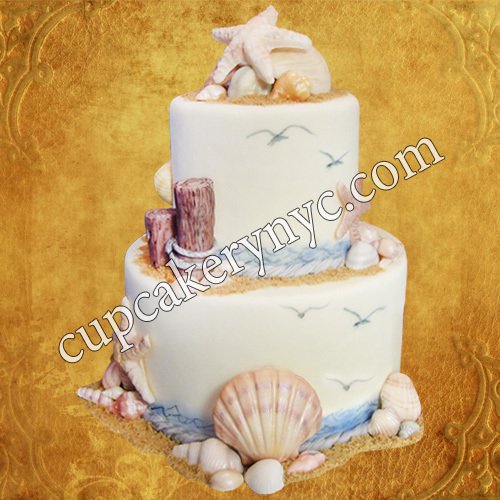 Marzipan seahorses, sea turtles, fun fish, crabs, shells and other edible aquatic details look right at home on beach themed wedding cupcakes. 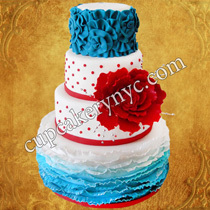 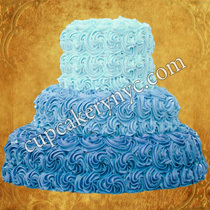 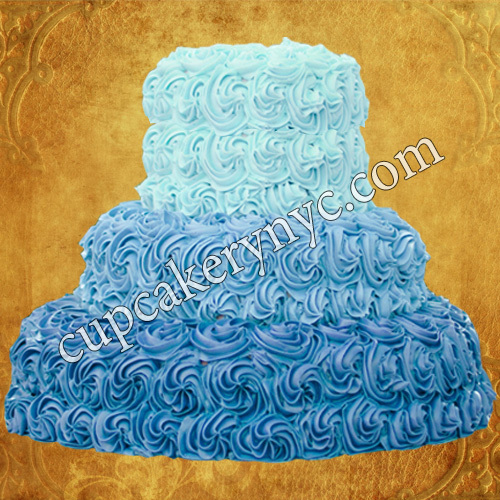 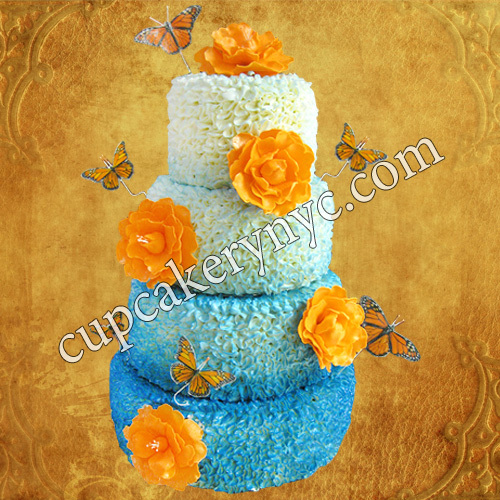 If you’re looking for best cupcakes in New York, our bakery is a few clicks and one phone call away from you! 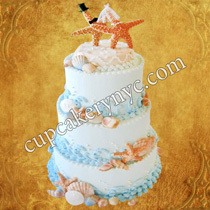 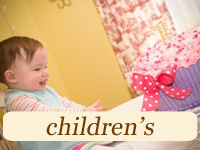 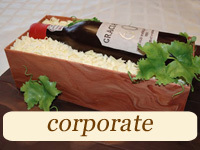 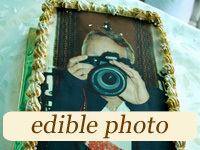 We create amazing themed treats for any event (including bridal showers and baby showers). You’re free to choose any idea, any flavor, any design! 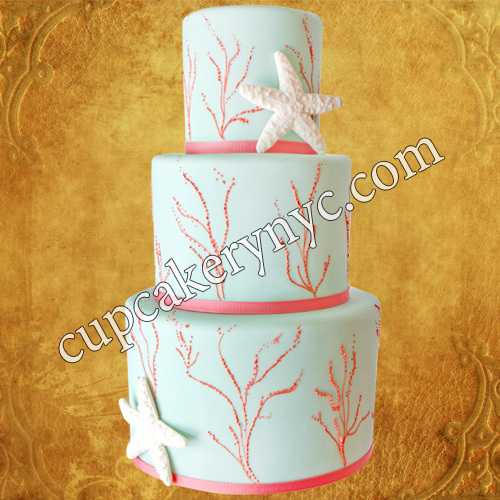 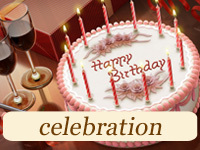 We create cakes, cupcakes, cake pops, cookies, petit fours and many more… Give us a call or request a quote now!